You are going to earn 1.5 rewards for your each $1 purchase per. There is not APR for first 6 months. 2500 rewards points regardless how much you spent. It is not bad. Good travelling services and insurance. 3% balance transfer fee is not bad. High APR possible for purchases and balance transfers. High APR for cash advance. You will make extra payments (2%) for foreign transactions. There could be better bonus options. 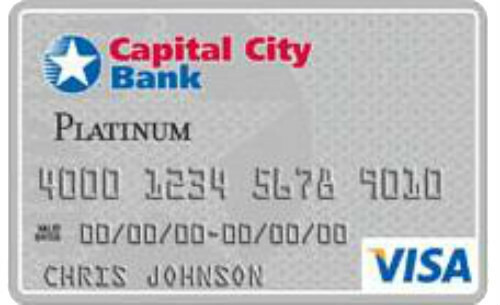 Capital City Bank Visa Signature Real Rewards Card is providing 1.5 rewards points for consumers for each $1 purchases. You can earn those rewards as much as you can. There is no limit at rewards. You will not pay balance transfer and purchase APR for first 6 months. There is also a small bonus promotion with the card. You are going to earn 2500 rewards after you made the first purchase with the card. Cash Advance and Balance Fee rates are reasonable. There is no annual fee on the card. Your regular APR can be quite high or low depends on your creditworthiness. However it is going to be something between 15.99% – 24.99%. Cash Advance rate of the card is high. It is 25.99%. You can see all rates of the card below. There are also editor scores and user reviews. 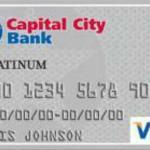 You can read some users reviews of Capital City Bank Visa Signature Real Rewards Card below.